Our school district decided to use Project Based Learning (PBL) as the main delivery system for gifted education this year. The gifted teachers, along with myself, worked on writing PBL units for 3rd, 4th, and 5th grade students. The premise of PBL is that students are engaged through a driving question; an authentic problem or question that they need to answer through in-depth inquiry. Ultimately, the students present their final products and findings to an authentic audience. This is where Voki came in to play. I was looking for a way to engage my students, and Voki became my ultimate tool as it provided a way to improve reading/writing skills, and it provided an authentic audience. My 3rd grade students were researching endangered Ohio animals. They had to find out about the physical appearance of their animal, its habitat, its diet, how it survives and thrives, and finally, what we can do to help protect these animals. The students chose the bobcat, the Little Brown Bat, the Peregrine Falcon, and Shovelnose Sturgeon, and the Eastern Massasauga rattlesnake. After researching and writing facts on notecards, I wanted the kids to write a speech that would teach others about their findings. As most of us, most kids do not like to write, especially when it is a school assignment. They want to find other ways to present their information. Voki was the perfect way to motivate my students. I created a Voki speech that I showed the kids. It told them exactly what they needed to do for the project. Once I showed them my Voki and avatar, they were instantly sold. They created their Voki speeches first by writing them, doing a peer edit, and finally me editing them for a final revision. Once they were revised, I let them create their avatar, and type their speech into the Voki website. The kids really liked having their own login and password. Most of them memorized it instantly, but I still made sure they had it taped inside of their PBL folder. They could not wait to get started on their Voki speeches. It was interesting to watch them choose their avatars, colors, style of voice, backgrounds, etc. It gave them a voice and choice, another important part of PBL. I think the fact that they could make the speech their own, through Voki, really resonated with my students. I watched the students type their speech, listen to their speech, and rewrite their speech. The writing process naturally flowed, because the students really, really listened to what they wrote. As a teacher, I was able to listen to my students’ speeches and provide feedback for them. I wish there was a way to see the text that the students had typed in while I was watching/listening to the speech. Sometimes, I could not tell what the student has written, and I wanted to provide better feedback for them. Students need to be able to communicate their ideas and findings in order to be college and career ready. For those students that are not totally comfortable speaking in front of a group, Voki was a great option. 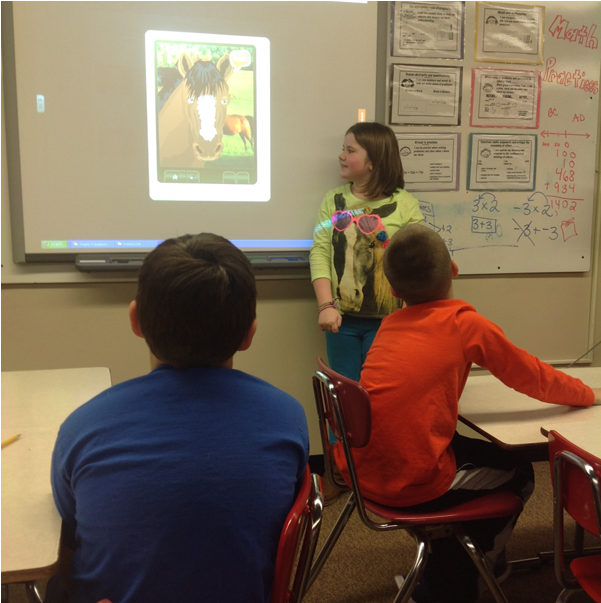 The students still stood up at the Smart Board while they were giving their Voki speech. They had to give their own introduction before the avatar spoke; however, it gave them peace of mind that they were not in the spotlight the entire time. One student even wrote on a reflection sheet, “Voki gave me a voice when I was afraid to use mine.” Pretty powerful. I used Voki with 3rd, 4th, and 5th grade students. I have to say that all the grade levels were totally engaged while using Voki. The 5th graders needed longer than the speech time allotted, so I added extra parts in for them. For example, they had Part I and Part II of their speeches so all of their information could fit. Ultimately, I liked that Voki provided an authentic audience, because the students’ work could be shared on various websites. The parents of my students enjoyed watching the Voki’s their child had created. They offered feedback to their children as well. After having the students reflect on using Voki, the vast majority of them really enjoyed using the program. They offered these suggestions: More choices for avatars, especially animals and more choices for USA voices. Voice and choice is very important to them. Overall, it was a great experience for my students. 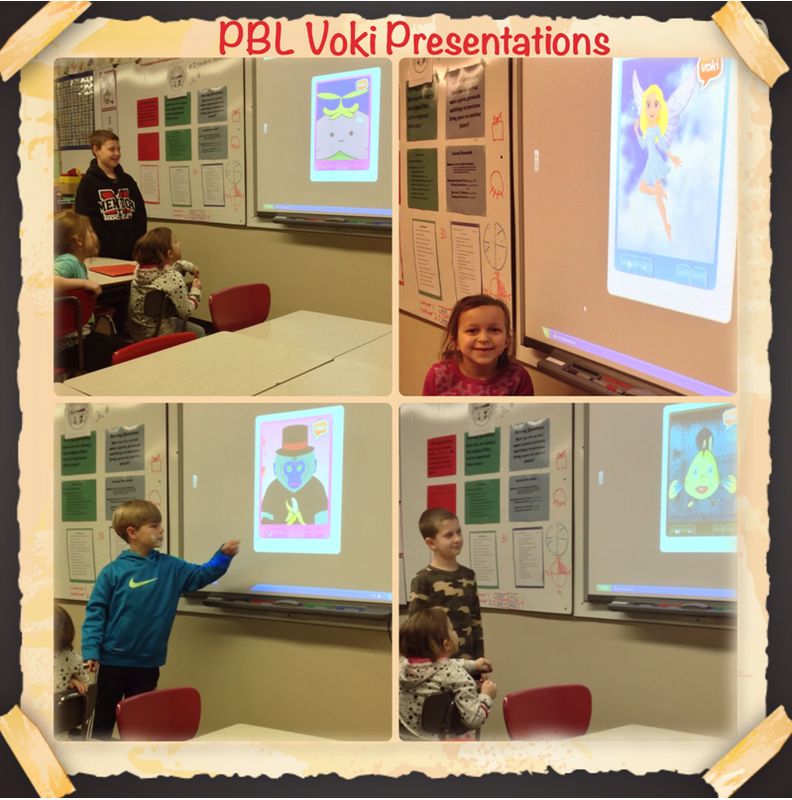 I plan on using Voki again with my gifted PBL students next year.